Western Canadian Select (WCS) – the benchmark for Canadian crude sold at Hardisty in Alberta fetched just $32.29/Bbl on Friday (July 24, 2015) down 60% from $81.34/Bbl a year ago in July 2014. That year has seen big changes in the U.S. oil market with drilling rig cutbacks and declining new production rates. The challenges for Canadian producers have not changed much in the short term – with transport capacity to market still top of the list. Trouble is that every time transport congestion occurs it pushes price discounts higher and lowers producer returns. Today we discuss the relationship between Western Canadian crude production and prices. We have followed the fate of Western Canadian heavy crude in the RBN blogosphere over the past three years as more barrels came online from increasing production in the oil sands region. 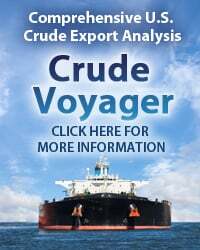 These typically heavy crudes – a good many of them bitumen blended with lighter hydrocarbon diluents – known as dilbit (see Heat It) – are primarily exported to the U.S. where they initially fed refineries in the Midwest. 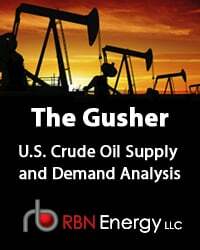 As supplies exceeded Midwest refiner’s needs the next obvious market was further south in the Gulf Coast region that has about 2 MMb/d of heavy crude processing capacity. But getting growing crude production out of Canada and then as far south as the Gulf Coast has not been easy. Midstream developers have been beset by difficulties including headline grabbing delays to the Keystone XL pipeline and less dramatic but no less problematic setbacks to expansion of the Enbridge system. The opening up in December last year (2014) of the Enterprise/Enbridge joint venture 450 Mb/d Seaway Twin pipeline from Cushing to Freeport, TX in conjunction with the Enbridge 585 Mb/d Flanagan South line from Pontiac, IL to Cushing enabled the first significant pipeline flows of heavy Canadian crude to the Texas Gulf Coast (see They Did It Seaway). But pipeline capacity constraints getting Canadian crude across the border into the U.S. distribution system continue to challenge producers as do the lack of export market alternatives. The 60% fall in oil prices over the past year has not yet helped the congestion by reducing output from the oil sands. As we described in our recent review of the Canadian Association of Petroleum Producers (CAPP) outlook - declines in Canadian heavy crude production as a result of lower prices are unlikely to be significant before 2020 (see You Can Leave Your CAPP Off). Canadian heavy crude prices are generally pegged to the price of WCS – a mix of 19 heavy conventional and bitumen crudes blended with sweet synthetic crude and condensate diluents. Canadian producer Husky blends WCS in their storage tanks at Hardisty, Alberta. WCS production at Hardisty is about 250 Mb/d. (see Edmonton and Hardisty Storing Crude Oil in Harmony). 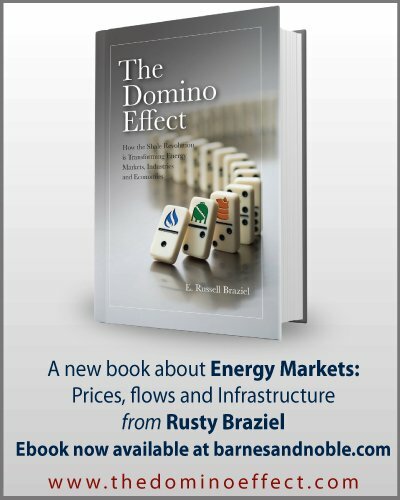 WCS is traded at Hardisty but has traditionally been priced at a differential to U.S. benchmark West Texas Intermediate (WTI) at Cushing, OK because that is where much of the Canadian crude is headed from Hardisty – via various long haul pipelines to the Midwest. If there were plenty of transport capacity between Hardisty and Cushing that price spread would equal the freight cost plus a quality differential between WTI (that is a light sweet crude) and WCS (that is heavy and sour and requires more refinery firepower to break down into refined products). But the transport capacity between Hardisty and Cushing has rarely been adequate because of delays in building out infrastructure and the constraint forces producers to use alternative – more expensive - transport options such as crude-by-rail (see Track Record). 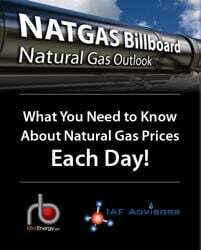 These higher transport costs to get stranded barrels to market increase WCS price discounts. 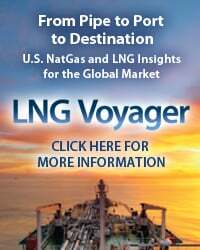 Once supplies of Canadian crude move beyond the Midwest – to the Gulf Coast - the pricing benchmark changes to a differential between WCS and Mexican crude Maya that has similar qualities and competes at Gulf Coast refineries. 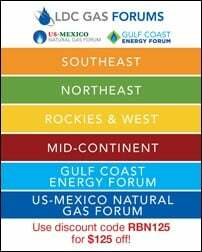 As we described last November Mexican Maya sold at the Gulf Coast is priced based on a formula determined by national oil company PEMEX that references three crudes – U.S. Midwest benchmark sour crude West Texas Sour (WTS), Gulf Coast light sweet crude benchmark Light Louisiana Sweet (LLS) and International sweet crude benchmark Brent as well as Gulf Coast 3% sulfur fuel oil (see Mamma Maya for more details on the Maya formula). The final component of the Maya formula is the “K” factor that is set every month and acts as an adjustment that allows PEMEX to price flexibly against competitors. Canadian crude price relationships are therefore generally governed by discounts against WTI at Cushing and Maya at the Gulf Coast. 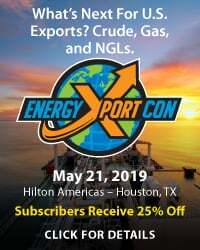 These discounts narrow and widen in response to crude congestion on the pipelines from Canada but are also influenced at the Gulf Coast by differences between sweet and sour crude prices. The chart in Figure #1 shows values for WCS discounts to WTI (red line) and to Maya (blue line) since December 2014. Remember that even though the values in the chart are positive – these are discounts. Looking first at the WCS discount to WTI you can see that it falls from a high of $17.40/Bbl in mid-December to a low of $7/Bbl in early June (green dashed arrow). During this period the opening of the 600 Mb/d Enbridge Flanagan South pipeline between Illinois and Cushing as well as the 450 Mb/d Seaway Twin pipeline from Cushing to Houston made incremental pipeline capacity available – relieving congestion to both Cushing and the Gulf Coast (see They Did It Seaway). That additional capacity provided support for WCS and reduced its discount to WTI. Then in June 2015 forest fires in Alberta shut in about 200 Mb/d of Western Canadian production – causing a shortage of crude to meet demand in the Midwest - reducing the WTI discount to a low of $7/Bbl – an indication of how things might be all the time if there were no transport congestion. 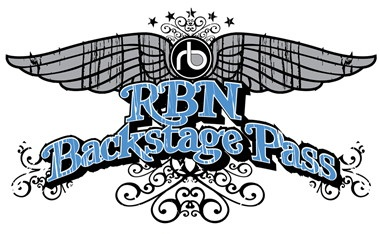 To access the remainder of Keep On Pushing – The Cycle of Canadian Crude Production And Discounts you must be logged as a RBN Backstage Pass™ subscriber.